Congratulations, your startup has hit product-market-fit! Now you can scale. But how do you capture your market without turning into a big boring corporation? How do you turn product-market-fit into product-market-dominance without losing your culture? Scaleup veterans Roland Siebelink & Doug Miller provide founders with the perfect playbook to scale. Smart founders find a wealth of playbooks to help them reach product-market-fit. But after they do, the playbook is missing. Raising more capital is easy now, but how do you spend it wisely? Are you just growing for the sake of growth, or do you have a specific target in mind? Having lived through three tech scale-ups and worked with many founders, Roland Siebelink argues that founders should set their sights on product-market-dominance means focusing efforts on entrenching themselves deeply into a mainstream market before competitors can catch up. 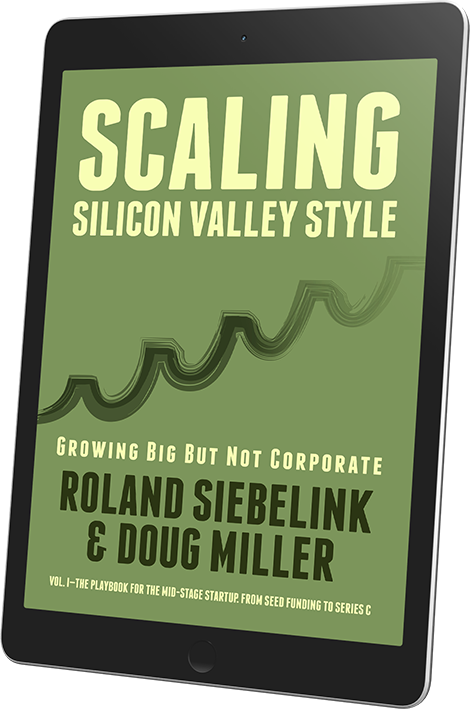 Combining the best of Gazelles growth company coaching with timeless Silicon Valley advice, Roland provides scaleup founders with the first playbook particularly focused on mid-stage tech ventures. 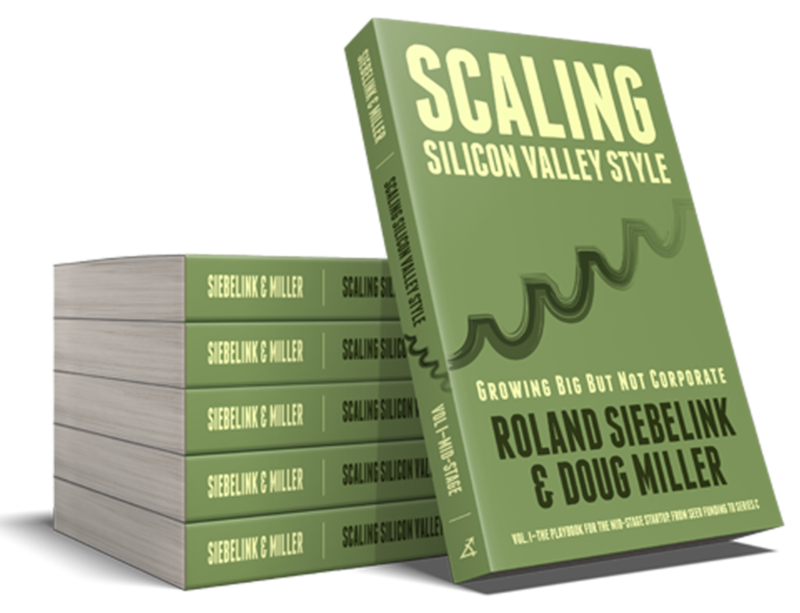 Download two chapters of Scaling Silicon Valley Style–Growing But Not Corporate by Roland Siebelink and Doug Miller before you buy the book. Roland Siebelink is the founder and CEO of Scale-up Allies LLC, a coaching partnership specialized in VC-funded tech companies. Roland is a 25+ years veteran of tech ventures, entrepreneurship and CEO coaching. He has served in executive, strategy and product leadership roles for tech companies in the US, Switzerland and Belgium. He is a 3X tech scaleup leader, a 3X founder/CEO and a former landslide winner of the Silicon Valley Founder Showcase. His business writings, including “Apt Metrics, Astute Measures” and “10 questions about programmatic buying” have been translated into six languages. 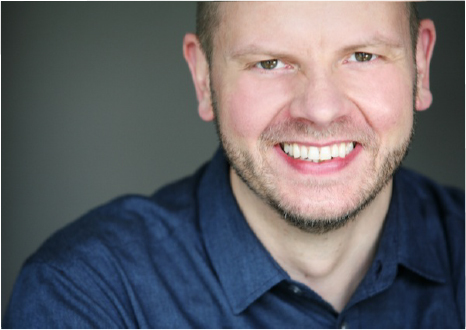 Roland has an MA in Communication from Brussels Free University (VUB), an MBA from IMD Lausanne and is a certified Gazelles International growth company coach. He and his husband live in San Francisco, California. Doug Miller is a 20+ years veteran of technology companies, working across small startups, scaleups, and publicly traded companies. He has served in sales, marketing, analytics, professional services, and customer success leadership roles driving to 5 successful acquisitions and one IPO valued at over $2 Billion. Known as the “fixer” among executives for his ability to drive across functions to achieve better business results. His passion for data and analytics is driven by the many proven hypothesis that appropriate use of business metrics unleash employees to innovate and experiment, never doubting if or when they are winning. Doug studied History at Cornell University where he first caught the startup bug. He lives with his wife, 3 children, and dog in Pacifica, CA where he doesn’t surf nearly as often as he would like.